I was in Japan for a few weeks and returned to London about a week ago, and I am still struggling with jet lag. The time difference between the UK and Japan is currently 8 hours, and Japan is – as it were – in the future. To put it another way, 5 o’clock in the afternoon in British summer time is 1 am in Japan. As such, I feel sleepy early in the evening and wake up early in the morning. I have been waking up around 4 o’clock in the morning, and getting up at 5. Being more an owl than a lark, it has been a weird but refreshing experience to be up so early. The weather in London has been glorious over the past few days, and I had been thinking of going for a walk, but only managed to do so this morning. It was a short loop I often go on in Wimbledon and Putney Commons, and it does feel more like summer than spring: the leaves are now in darker green and the sun is stronger. There were many dog walkers, joggers, and cyclists this morning and indeed it seemed as if I was the only one waddling about rather aimlessly at a genteel pace. As smartphones are also decent cameras nowadays, I tend to take a lot of pictures. Ostensibly the aim is to edit the images and upload them to this site. 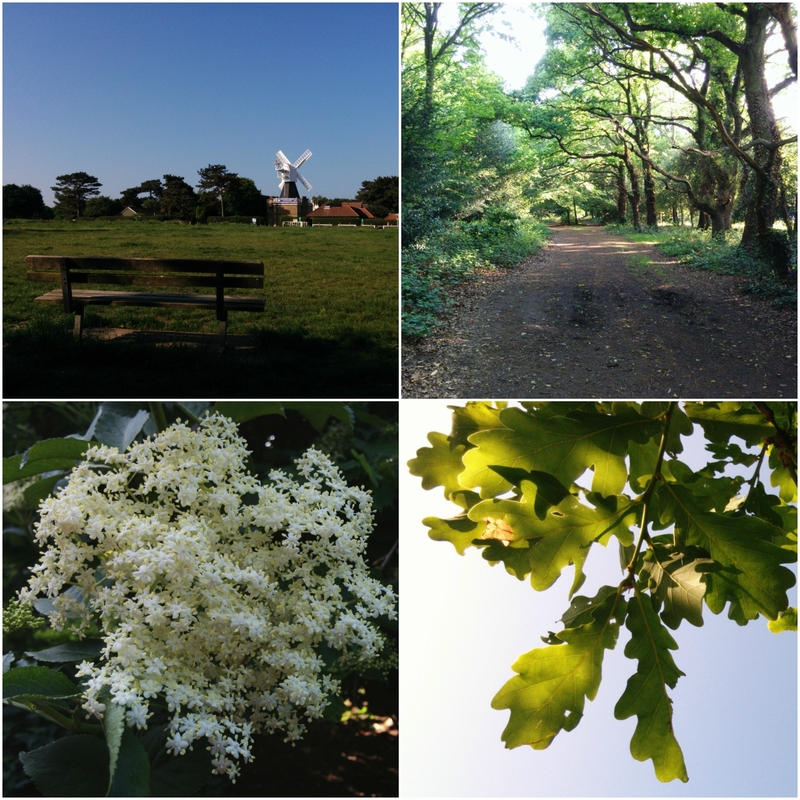 In Wimbledon and Putney Commons, trees, woods, heaths, and shrubs are generally the things I photograph. However, what usually happens is that I share photographs on the Instagram app on my phone and leave it at that. Even when I do manage to find the time and put in some effort to upload image files, I usually end up posting them as square images with the dimensions of 512 pixels by 512 pixels, based on the images created for Instagram. I really should put a bit more effort into editing images and uploading them on this site!